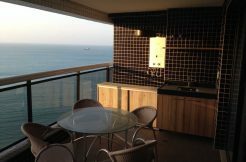 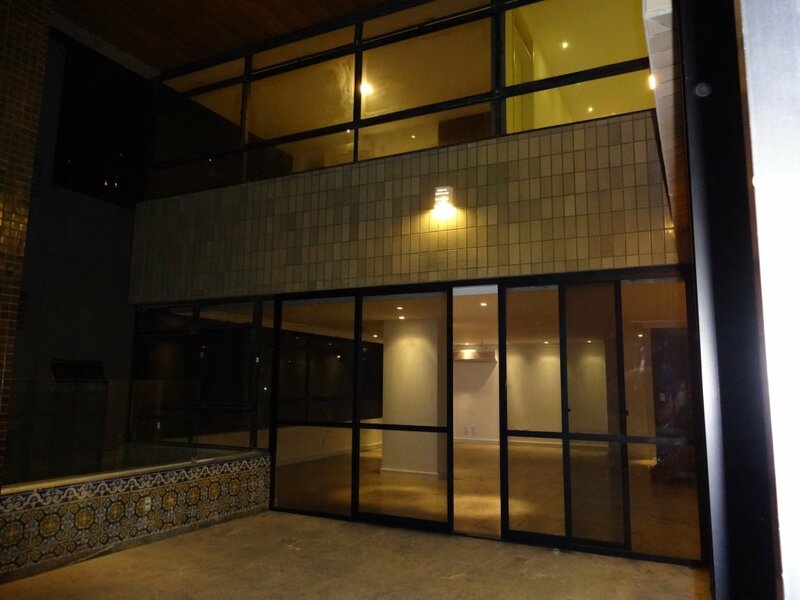 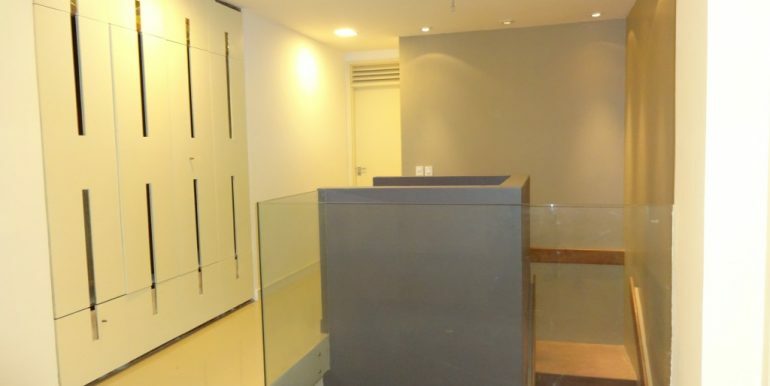 Ocean View Apartment for sale in Fortaleza 387 square meters with three suites. 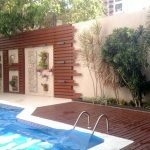 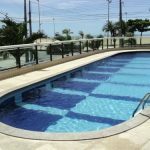 The ocean view apartment Saint Patrick is located in the popular neighborhood Meireles in Fortaleza. 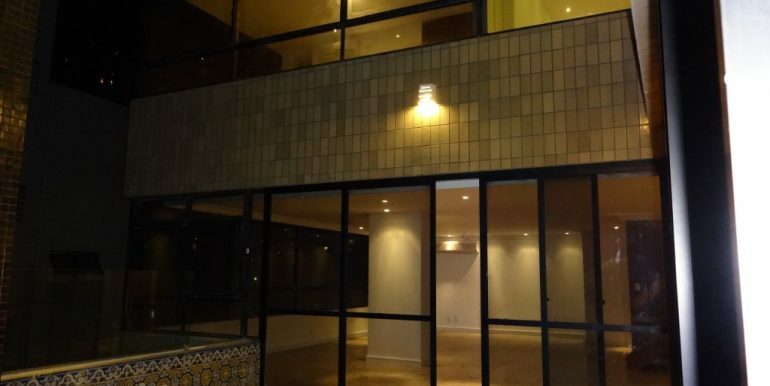 Close to the boardwalk and the ocean front. 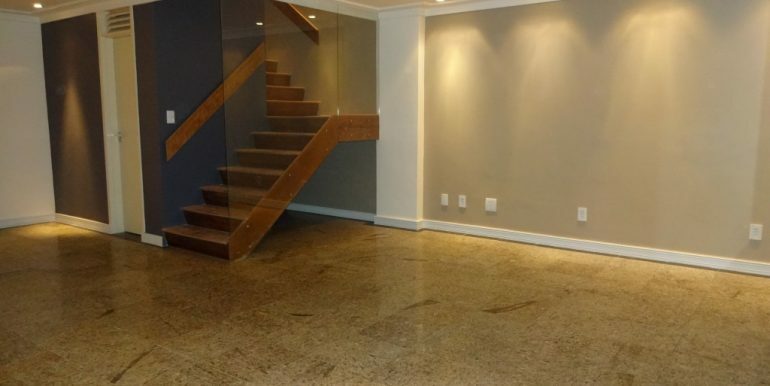 In the vicinity there are lots of popular bars and restaurants like Boteco Praia and the Ideal Clube. 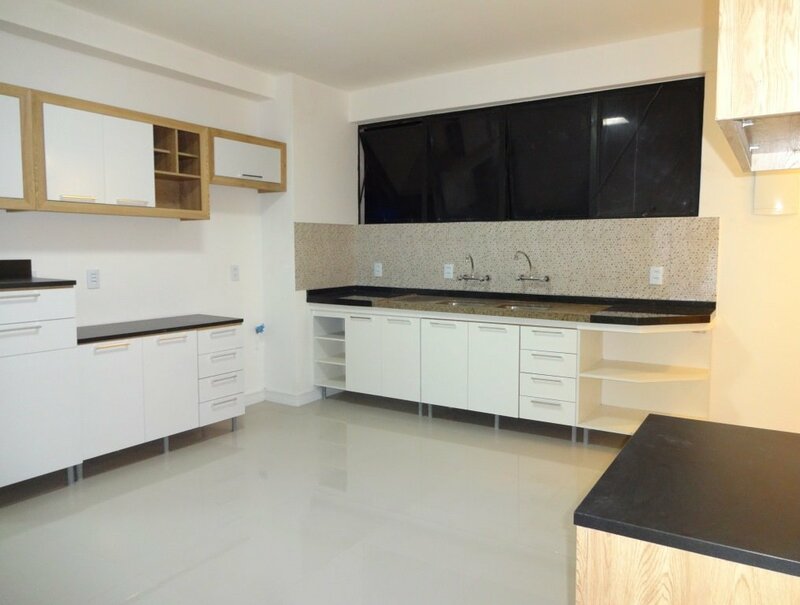 Within a few steps you are right on the popular “beira mar” in front of Fortaleza with access to the beach and all the nightlife and restaurants. 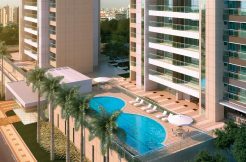 This large 387,19 square meter (4178,44 ft²) ocean view apartment is a duplex apartment accessible through private elevator. 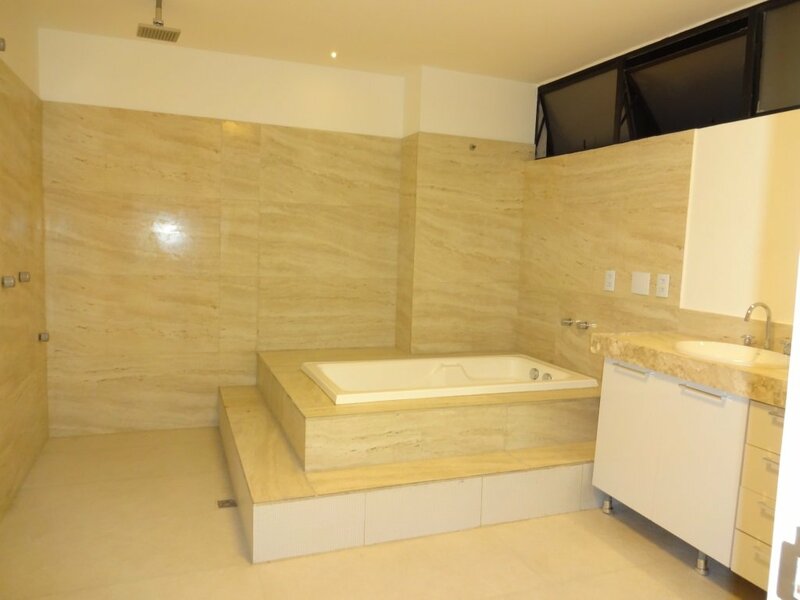 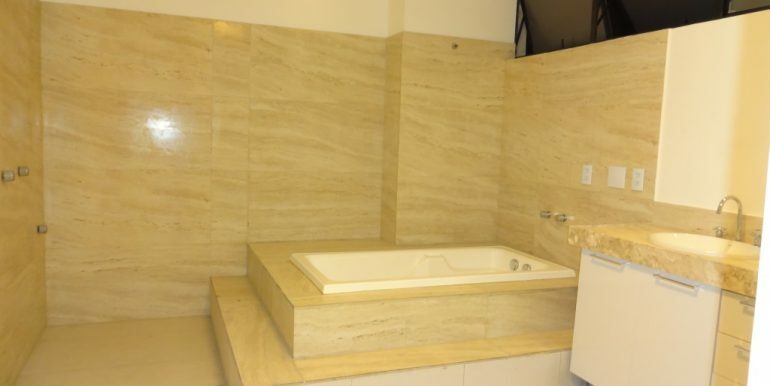 The apartment comes with three suites with private bath rooms. 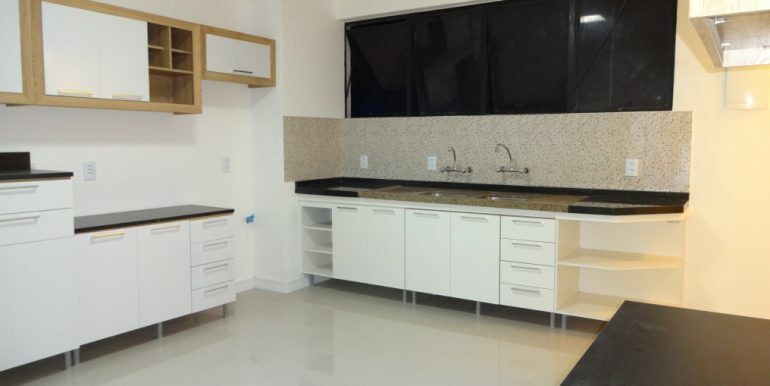 All suites with built in cabinets, one setup as an office. 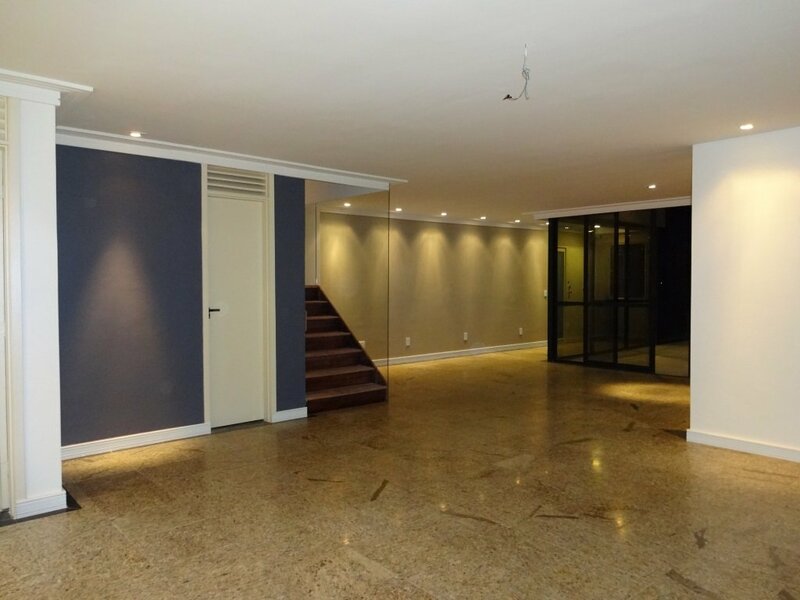 Huge living room, dining room and a lovely kitchen. 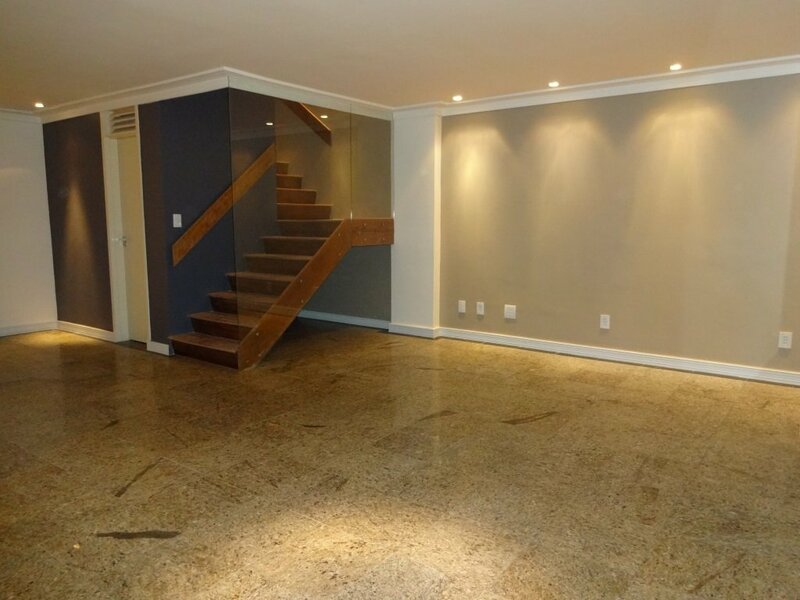 All floors in porcelain. 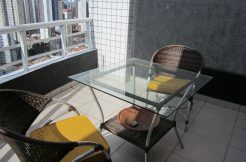 The apartment has a service area with for staff. 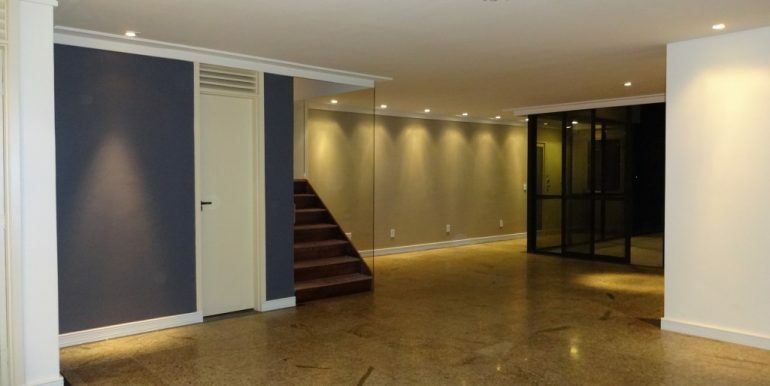 The apartment has three parking spaces in the underground garage. 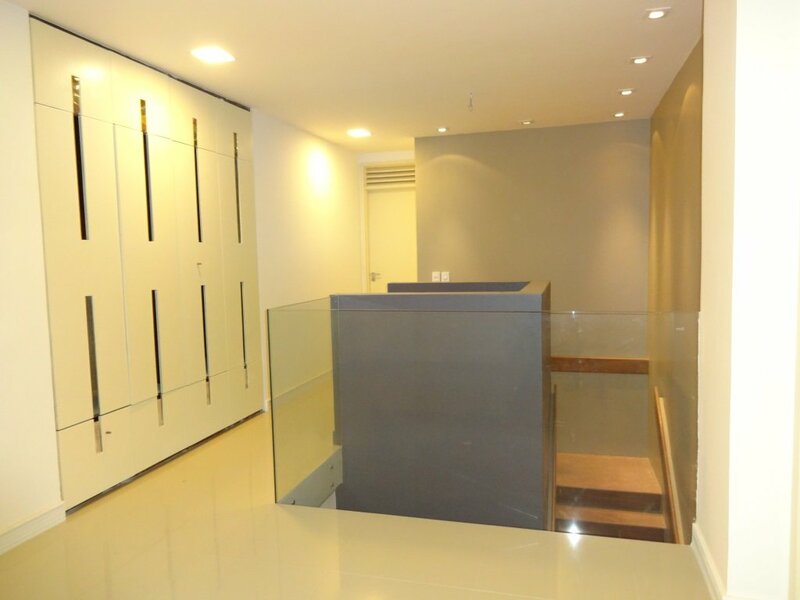 Party room, 24 hour guarded reception, private elevator to the apartment, garden and independent access for service staff.